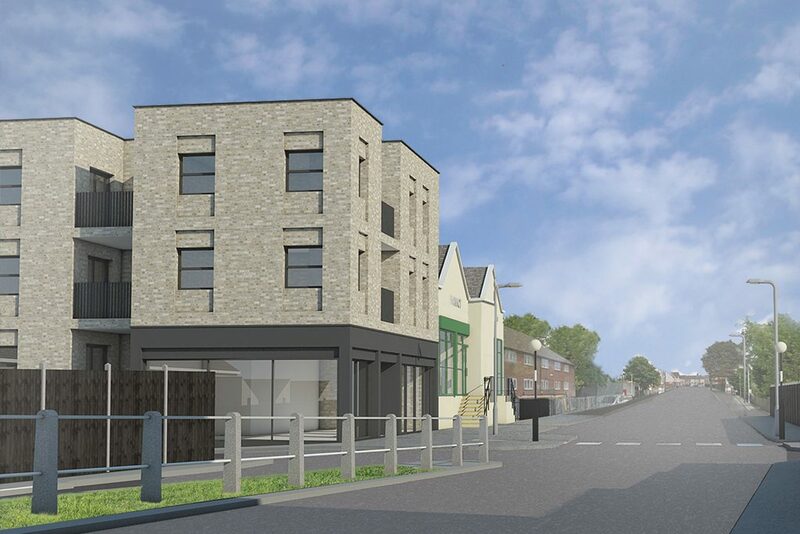 This project involved re-development of a site containing a historic electrical showroom, by creating 9 new residential units, with a self-contained commercial space at ground floor to allow retention of the existing electrical business. This challenging site has a significant change of level, requiring a stepped facade to follow the falling topography from the front to the rear of the site. 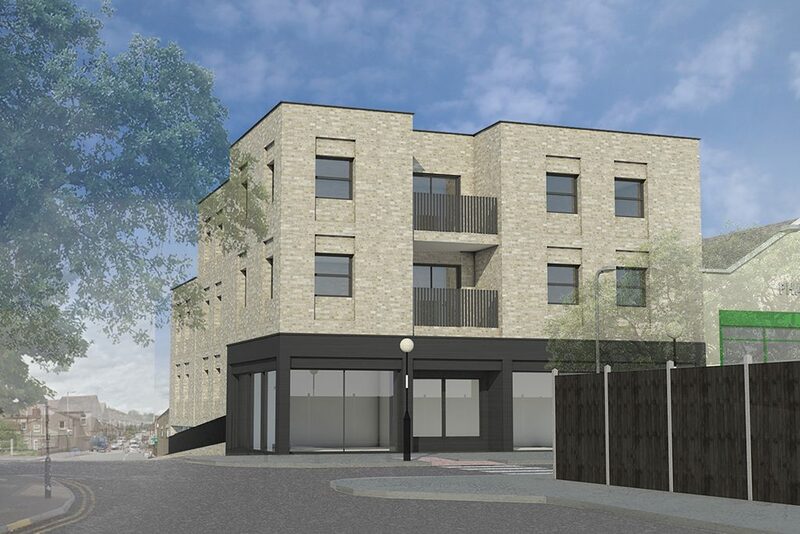 The resulting form reduced the impact of the proposals on the lower rise buildings to the rear of the site, whilst creating a taller focal point on the front corner road junction. 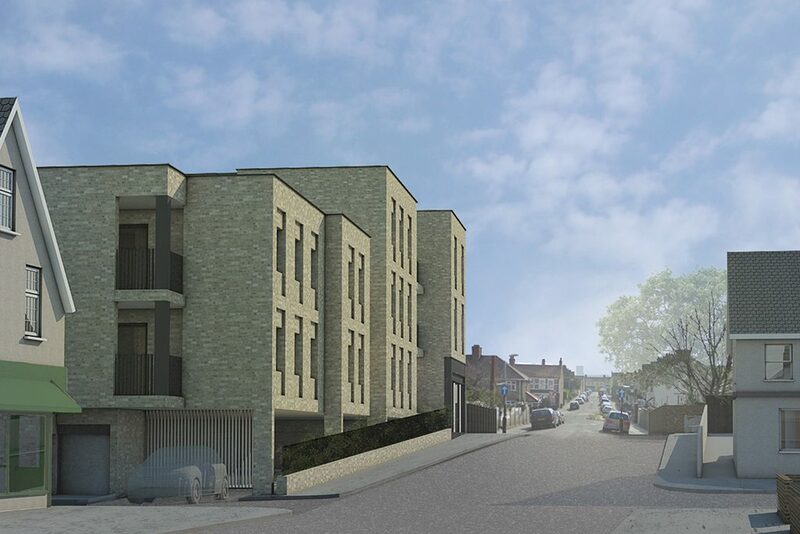 The design also takes advantage of this change in level to provide under croft car parking to service the residential and commercial uses in an area with restricted parking facilities.